You will hear classics from Disco, Soul-Funk and RnB all fronted by some of the countries greatest session singers. This not a night to be missed. 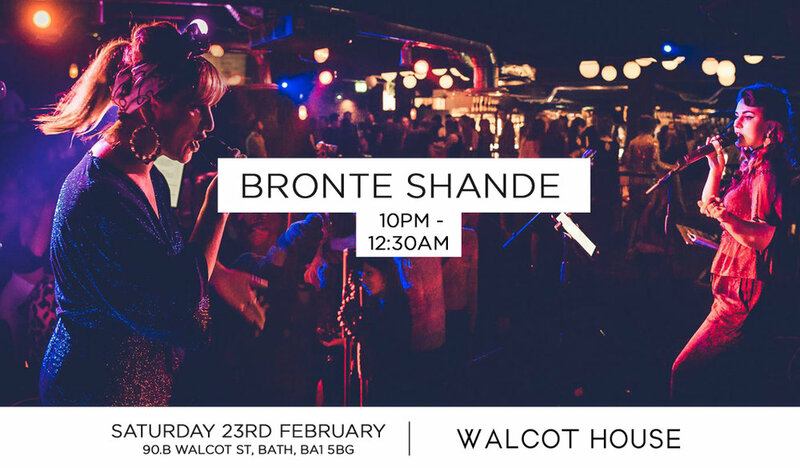 Bronte Shande is an eclectic soul singer with an 'enchanting' and 'colourful voice' ample in emotion and experience far beyond her years. Best known for singing within critically acclaimed Bristol based quirky folk duo Circe's Diner, her mesmerising and intertwining harmonies have enchanted audiences far and wide with performances at Glastonbury Festival, Ronnie Scott's and airplay on BBC Introducing.